Scour/Pig Destroyer’s John Jarvis talks with Jay Rollins about new music from both projects and working with Philip H. Anselmo. Isn’t it nice when family gets together to create an ear-splitting assault on the auditory system? This month’s assignment brought me into a scene I didn’t know was so tightly interwoven into musical kin. Including at least one of the Jarvis kin Pig Destroyer, Misery Index, and Scour (featuring Philip H. Anselmo) form the core of the ancestral tree, which immediately branches out to Cast the Stone, Cattle Decapitation, and almost innumerable other artists crafting black and death metal of different stylings. Scour amalgamates grindcore and black metal with just enough groove to allow listeners to sink into fat riffs, a palate cleanser of sorts. Paramount to their writing process, layer of the low tones, and at times vocal accompaniment to Phil’s vocals John Jarvis is up for an interview. John thanks for taking the to time to tell Metalheads Forever about a couple of projects you are currently working on. Let’s start with Scour, Phil first collaborated with your band Fulgora before eventually signing Fulgora to Housecore Records, which in turn opened the door to getting Phil involved with Scour. He was a great first choice with his distinct vocal style and knowledge of extreme music, but it must have seemed like a long shot to some degree. Were there other names that came up as potential vocalists if Phil declined? In many respects Phil seems to be in his comfort zone with Scour allowing him to explore his Black metal sensibilities. What can you reveal about the next Scour release, I assume it will be an EP and that you’ll keep with the color title scheme? You are correct! The original idea was to have 3 EP’s with 6 tracks each, and we’ve stuck with the plan. Drums were recorded in July, I did bass in early August, and the rest is getting finished up now. We will once again work with Dave Otero, and we have a couple special guest guitar solos lined up, hopefully we can announce more on that soon! 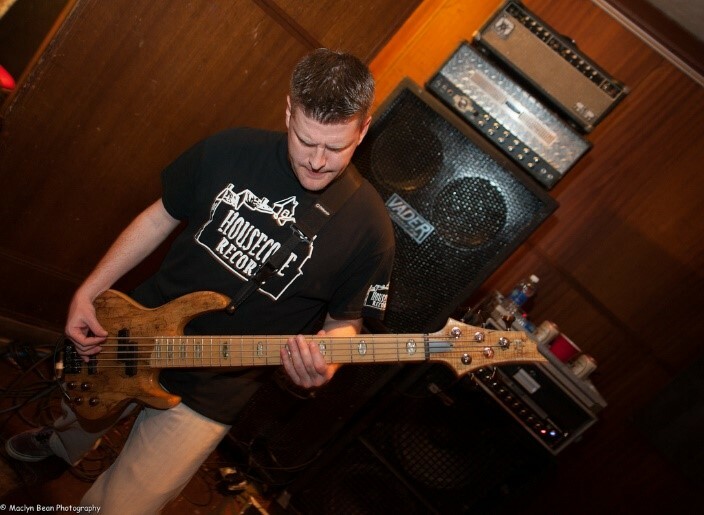 You were fan of Pig Destroyer long before being asked to join the fold as their first bassist. 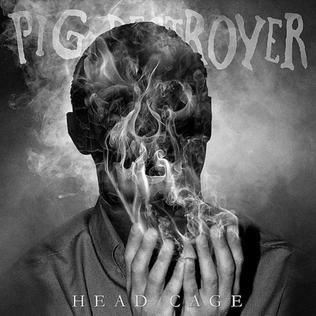 After being apart of Pig Destroyer for five years, enhancing their live capability with a driving low end, September 7th marks the release of Head Cage, your first studio effort with band. You’ve been in the studio with Adam before but what was the recording process of Pig Destroyer like overall? We’ve heard the track “Army of Cops” lyrically tackle the short comings of law enforcement, an apt topic in light of the band’s name. Philosophical binary oppositions are a lyrical focus throughout the record. What song do you think is the most interesting on Head Cage considering both the lyrics and music? 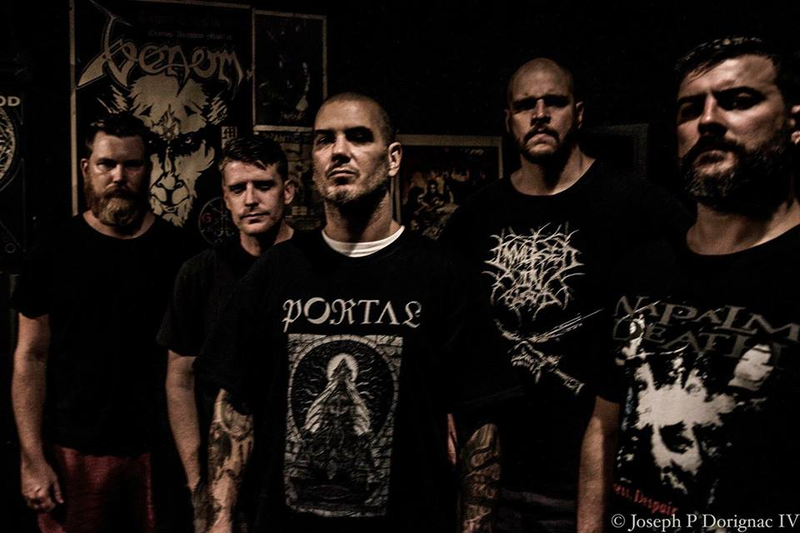 Between Agoraphobic Nosebleed, Scour, and Pig Destroyer you are probably one of the more active extreme artists in the festival circuit, alongside bandmate Mark Kloeppel. You already have up coming appearances scheduled at: Quebec Deathfest, Masters of Grind, Decibel Metal & Beer Festival, Maryland Deathfest, and Tecate Mexico Metalfest. Do think it is easier for bands to survive in the festival setting as opposed to taking on the risks of their own headlining tour? Oh it is for sure, but I understand not everyone get that privilege. Most bands need to tour relentlessly just to be noticed, and that gets expensive quick if you aren’t drawing any crowds in. Most venues/promoters these days are weary to give a guarantee unless they know they’ll make a profit off of the show, and you can’t blame them. So I feel extremely lucky to be able to play in so many bands that have a demand and can play these festivals. With Scour being a side project to basically everyone in the band, not that to say you don’t take Scour seriously but you’re just busy people, do you think an extensive headlining tour will ever come to fruition? Or do fans have to catch one of your rare one-off dates to experience the band live? There has been plenty of interest and offers, so I hope we get to do it someday. Things run really smoothly with Scour, we are all seasoned road vets and travelers, so there is little stress, and it’s all about having a good time…who wouldn’t want to get paid to travel around with your friends playing music?!?! Finally, what was it like to be apart of a tribute to Vinnie with Phil at the helm? John, I’d imagine that adds quite an emotional weight and pressure. Well not quite as much as it takes on Phil, I could only imagine, and if he didn’t want to play those songs I would’ve understood. It was emotional just practicing them. It’s such a honor to perform those songs it’s hard to put into words. I was such a fan as a kid, and I was lucky enough to see them live many times. They were the last rock stars in my opinion, there will never be another band come even close. RIP Vinnie. Myself, Jay Rollins, and the Metalheads Forever multitude appreciate you taking the time for this interview!